What is it? Duro-Last roofing systems have become a staple in the commercial building industry. Duro-Last is a single-ply roofing product membrane. It is available in 40, 50, or 60 millimeters in thickness. It has the advantage of being the only membrane to offer complete re-fabrication over the entire roofing system. How long does it last? Duro-Last offers a 15-year warranty on their roofing membranes. They can last up to 25 years with routine maintenance. Applications. Commercial and industrial buildings that have roofs with a large area are ideal candidates for Duro-Last products. They can be spread out to go across several square feet in one setting. What is it? Thermoplastic (TPO) roofing systems are a popular choice for building owners. TPO is a singly-ply roofing membrane that is designed to reflect light and heat. It is the perfect thermal barrier for your building. It's made from polyprophylene and ethylene-propylene rubber that is combined to form a tight seal and tough membrane. In most cases, TPO is attached to the roof using an adhering substance or through by mechanical means. How long does it last? Due to its ability to tolerate high and low temperatures, TPO is expected to have a lifespan that exceeds 20 years. It is exceptional at repelling rain and moisture, resisting high winds, and can handle flying debris without incurring punctures. Applications. 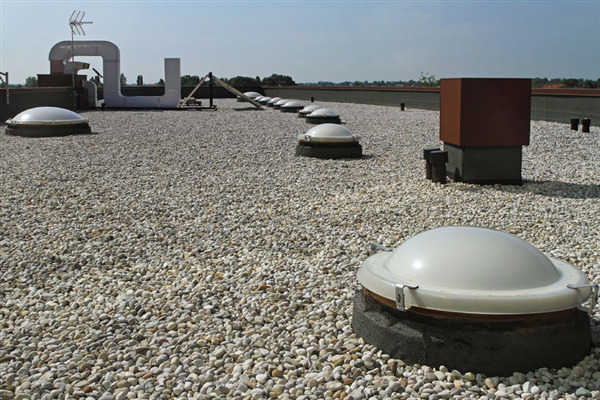 TPO is an excellent choice for taller buildings with smaller roofing areas. Its ability to withstand harsh weather puts it at the top of our list for high-rise environmental conditions. If you have a multilevel building in an area with higher winds, then TPO is the best choice for you. What is it? One of the most durable types of roofing on the market today is ethylene propylene diene terpolymer (EPDM). It's made from a combination of oil and natural gas. Building owners can get EPDM in either black or white color. It's also available in a wide variety of dimensions that range from 7-8 feet to fifty feet. It also comes in 45 and 60-millimeter thickness. It can be adhered to the roof or mechanically attached. The seams are sealed with liquid adhesives or industrial grade tape. How long does it last? With proper care and maintenance, you can expect to get up to 30 years usage from your EPDM roof. They can go for several years without any tears or leaks. Applications. EPDM roofs are ideal for commercial buildings with low-sloping roofs. They are better at protecting roofs at an angle than any other type of commercial roofing product on the market. If you are looking for a commercial roofing contractor in Burnsville or the surrounding Minnesota area, then contact A Plus Roofing Company at (952) 894-5435 or email us on our website. « Why Is My Flat Roof Leaking?